Who’s Flying the New Airbus A350 XWB? The Airbus A350 XWB is the latest commercial airliner from Airbus Industries. The aircraft seats from 325 to 440 passengers, depending on what the airline needs, and includes many new features to improve passenger comfort. The XWB in the aircraft’s name stands for Extra Wide Body, as it’s larger than some of the other wide-body models from the company. The A350 comes with dynamic mood lighting created with LEDs that change colors to help passengers relax and adjust to new time zones. The airplane also features lower cabin pressure and optimal humidity, which helps to counter jet lag. The range of the Airbus A350 is 7,590 nautical miles. In late September 2015, the A350-1000, which is capable of longer flights, started assembly. The first delivery is scheduled for mid-2017. Qatar Airways was the first airline to fly the A350 XWB, receiving them in December 2014. Vietnam Airlines was the second, and Finnair, the third, just took delivery of its aircraft on October 2015. 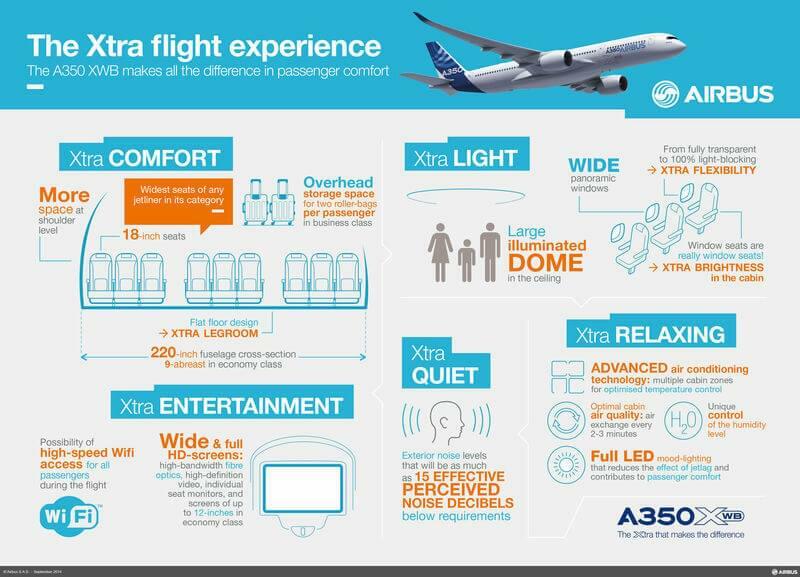 Let’s take a look at what these carriers are offering passengers on board the A350 XWB, and where they’re flying them. Finnair is the first European airline to receive the A350 XWB. Its aircraft are configured to seat a total of 297 passengers: 46 in business class, 43 seats in economy comfort and 208 in standard economy. 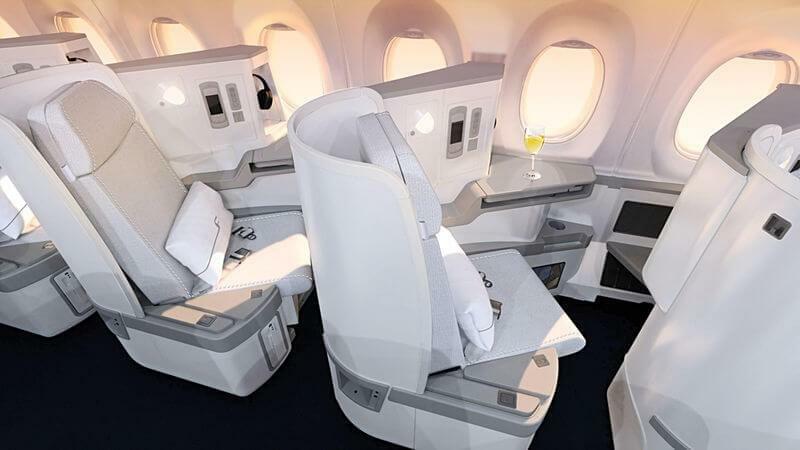 Business class features flat beds in a 1-2-1 configuration, which means no stepping over anyone to get to your seat. 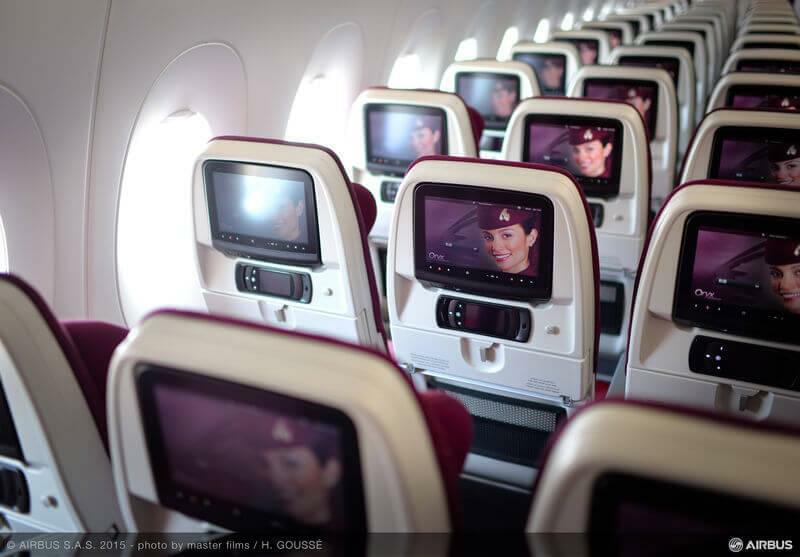 Economy class seats are in a 3-3-3 configuration, with generous 11-inch touch screen entertainment systems. The economy comfort section has an extra four inches of legroom. All cabins have WiFi. Finnair will first fly its A350 XWB on its European routes to familiarize its staff and crew with the new aircraft. It plans to use the aircraft on long-haul flights in the future, including Helsinki to Shanghai, Beijing and Bangkok. Qatar Airways was the first to fly the A350 XWB. Its aircraft seats 283 passengers, with 36 in business and 247 in economy. Business class features 22-inch-wide lie-flat seats in a 1-2-1 configuration, giving direct aisle access to every passenger. It also includes noise-cancelling headphones and 3D sound for the entertainment system. Economy class seats have a six-inch recline and a 31-to-32-inch pitch, and are up to 18 inches wide. There’s WiFi and texting services in all cabins, plus more than 2,000 viewing choices on its new entertainment system. Qatar currently flies the A350 XWB from Doha to Frankfurt and Singapore, though it plans to also fly it to Philadelphia, New York and Boston in 2016. 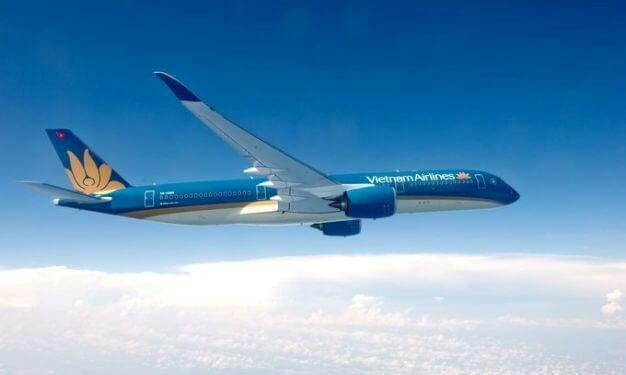 Vietnam Airlines has configured its A350 XWB with three classes. It has 29 lie-flat seats in business, 45 in premium economy and 231 in economy. It features the latest in-flight entertainment system in all classes. The carrier currently flies the A350 XWB from Hanoi to Ho Chi Minh City, Paris and Seoul. It plans to use the aircraft for more routes in the future.